Welcome to the Gilroy Children’s Musical Theater! We have compiled a list of frequently asked questions about participating in one of our shows or films. How much is the participation fee? The participation fee for the 13 week program is $295 per child. In addition, cast members are responsible for providing a costume ($30) dance shoes ($30) and selling 23, $18 tickets to the show. Ticket package: As family members of the cast do not receive free tickets, a portion of your “ticket package” tickets will be used for your own family to see the show, thus lowering the amount of tickets to sell to family, friends, teachers and co- workers. In most cases our cast members end up selling more than 23 tickets, so finding people to support your child is usually not an issue. Are all kids cast in the show? Our policy is to try to cast all who audition, however sometimes scheduling conflicts may prevent a child from being cast in a production. How many kids are typically cast in a GCMT show? Our cast sizes range from 40 to 85. However, we only rehearse in smaller groups of 30 kids at a time (grouped by age), allowing all kids to get quality time with our production team of four teachers. All cast members unite during the last few rehearsals when we put the show segments together. To get a better idea of our cast and group sizes, we recommend watching the video on our home page. How are casting decisions made for solos? As our shows are unlike most productions with a set list of characters, we offer over 75 singing solos for all ages. This formula allows children with all levels of talent from first-timers to seasoned performers to sing with microphones. Casting decisions will be made from both the initial audition at the hotel, as well as singing call backs held during the rehearsal process. This allows your child to get familiar with the music in the show and better prepare to audition for a variety of songs. As a parent, am I required to work on the show? No. Unlike many children’s theater groups, we do not require that parents put in extra hours to build sets, sew costumes, put up posters, or supervise rehearsals. However, many parents find helping with our shows to be a very rewarding experience, as well as a fun way to get a closer look at what goes into putting on a live theater production. We welcome any parent that would like to help, and we offer a variety of volunteer jobs to those parents looking to take a more active role in our productions. Volunteering for a GCMT show is a great way to meet other families, make friends, and help our production shine! How long has GCMT been in business? We have been creating and producing shows for 25+ years in the Bay Area. GCMT Artistic Director and Founder, John Bisceglie, has directed and choreographed hundreds of community, commercial, and professional productions featuring actors of all ages. For nine years, Bisceglie held the title of Artistic Director for San Jose Parks and Recreation’s Young People’s Theater, and has been serving Gilroy’s Community Services Department in the same capacity for the past twenty years. Visit our “Creative Team” page on the website to learn more about our team. Do you offer programs in other Bay Area cities? Yes, we offer programs in San Francisco and San Jose. 1. 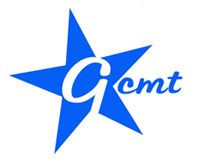 GCMT is a fun and safe place for young talents ages 5-25. We have produced 100+ high quality productions working with over 3000 Bay Area youth in a number of different venues. Many cast members have grown up participating in our shows for 10+ years, making GCMT the forefront of their childhood. Visit our “Parent and Alumni Feedback Page” to learn more about our families and alumni’s experience with our programs and staff members. 2. GCMT strives for excellence. We work to achieve the highest standards of professionalism possible, while still involving cast members at a level where they can achieve success.